Rachael is a mother of two who was born and raised in California, just south of San Francisco. She received her B.A. in Sociology at California State University, Sonoma and Master of Arts in Counseling Psychology at National University in Stockton, California. 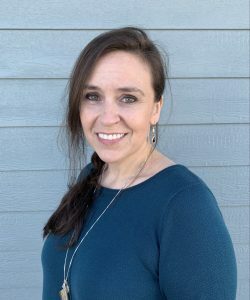 Rachael has worked with individuals who struggle with past traumas, relationship issues, substance abuse, family issues, parenting issues, and those seeking personal growth in both inpatient and outpatient settings. She believes in helping others overcome weaknesses and embrace their strengths. Rachael uses the following modalities in her sessions as available to meet the needs of different patients: Cognitive Behavioral Therapy, Dialectical Behavior Therapy, Art Therapy, and Family Systems Therapy. As a licensed Marriage and Family Therapist, she offers therapeutic services for adolescents, adults, couples, families, and groups meeting a variety of needs. She has a motivated outlook and doesn’t want to waste your time, so be ready to work hard.